Some potato "purists" say that cooks should stick to starchy, brown potatoes when making fries but the red variety has some advantages too. Deep frying red potatoes like Red Bliss is simpler because you don't have to peel the soft, edible skins. 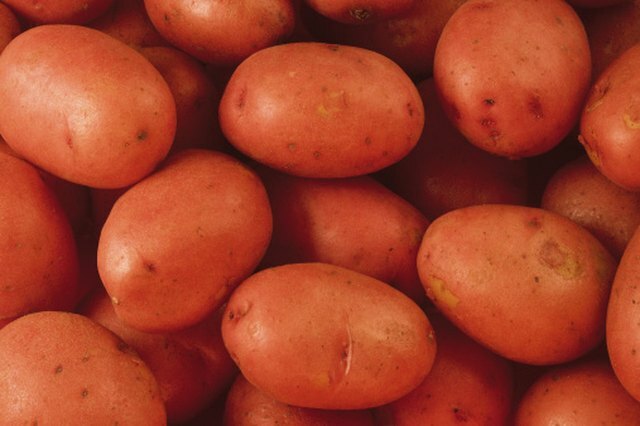 Red potatoes are smaller and cook faster too. Creamy and delicious, fried red potatoes pair well with dipping sauces like ketchup or you can eat them plain with a touch of sea salt. Wash the potatoes thoroughly then pat them dry with paper towels. 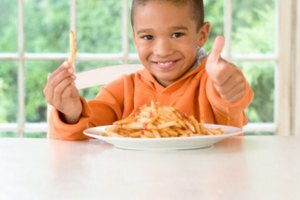 Frying wet potatoes may cause the vegetables to pop. Pour 3 inches of cooking oil into a deep, heavy pot or deep fryer. Place a cooking thermometer in the oil. Heat the oil on medium until it reaches a temperature of 350 F.
Cover a large platter or baking sheet with paper towels. Cut potatoes in half lengthwise to make long slender fries, restaurant-style. Or cut the potatoes leaving the potatoes in circular shapes about 1/4 thick like home fried chips. Use a metal slotted spoon to add the red potatoes to the hot oil. Add a few spoonfuls at a time. Do not overcrowd the fryer as this will produce mushy potatoes. Remove the potatoes with the long-handled slotted spoon after 5 minutes. The potatoes will be tender but not brown. Place the fried potatoes on the paper-lined tray. 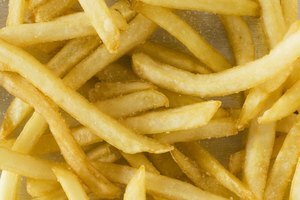 Add more fries to the deep fryer and repeat until all the potatoes are cooked. Sprinkle herbs like rosemary or powdered seasoning like seasoning salt before serving. Place the pot on the back burner of the stove if you have small children. Never leave food frying unattended on the stove.